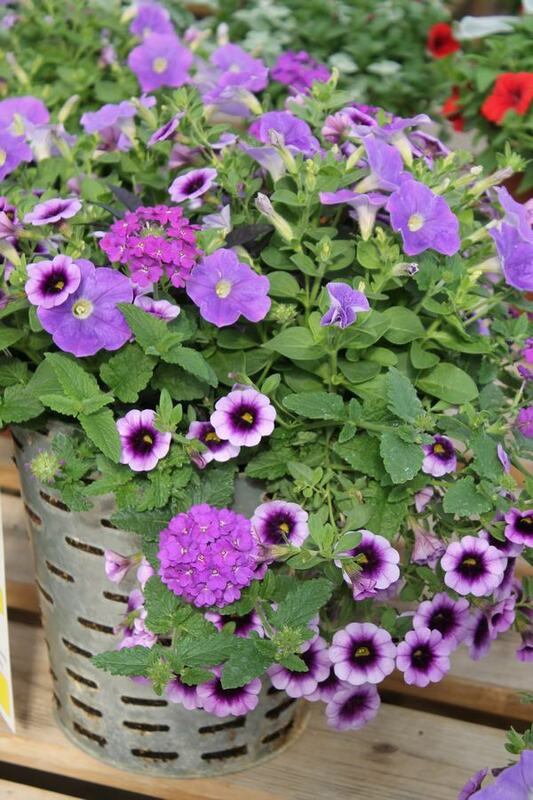 Container Planting Basics - which is the same mix that we grow all of our great looking plants in the garden center. 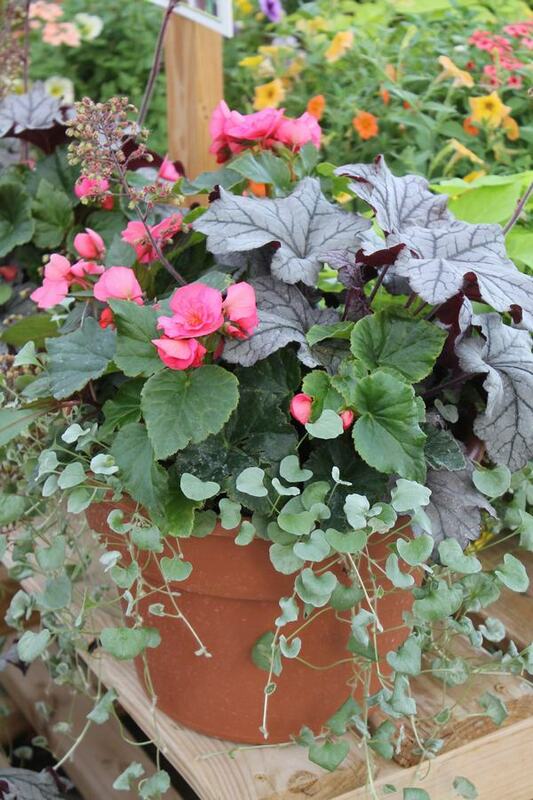 Cheap potting soils are very costly, as the plants will never be as beautiful as they could be. We want you to have maximum success for your efforts. Plant the plants into the potting soil no deeper than the top of each rootball. Planting too deeply can kill many kinds of plants. Gently firm the soil around the root systems as you plant. 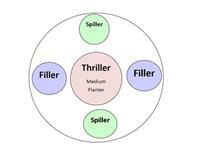 Feeding the plants periodically with water soluble fertilizer will ensure vigorous healthy growth and more flowers. We highly recommend Garden Elements Bud & Bloom.